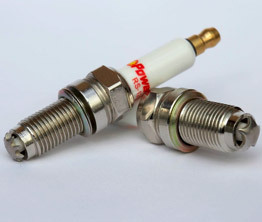 The PowerSTAR spark plugs look like your ordinary spark plug except for the tip. The STAR shape creates multiple point gaps that allow for faster starts and less fouling. Multiple point gaps allows the spark plug to ignite on more then one point gap and create the heat necessary to ignite the air fuel mixture. Unlike conventional spark plugs the PowerSTAR plug doesn’t fire from a concentrated point tip, it is spread out in a large 360-degree dispersion area. No modifications need to be made as long as you have electronic fuel injection in your bike. Since most of today’s Harley's have fuel injection the only thing you have to do is make sure that you reset the engine control management system or ECM. This is easy to do just by disconnecting the positive battery terminal connection prior to starting up the engine after replacement. Read the installation guide at www.powerstarsparkplugs.com.